It’s understood that complete knowledge of this pest, combined with a cohesive partnership with YOU will provide the best elimination result and future protection you can expect. The bed bugs resurgence has become a significant concern for our global society. Successful elimination and control of this pest is extremely difficult and once breeding grounds have “established” in structures of multi-unit properties, presents even greater challenges. As you will understand with this, each step of elimination should be clearly outlined and provide inclusions and exclusions pertaining to the size and length of the infestation, the number of units affected, the people involved, and the environment treated. Before you begin your search on how to qualify a professional you’re probably full of questions on bed bugs and the process of elimination, and that’s a good thing! You’ll want to be asking intelligent questions, lots of them! And if you don’t get the answers you’re looking for – say “next”. 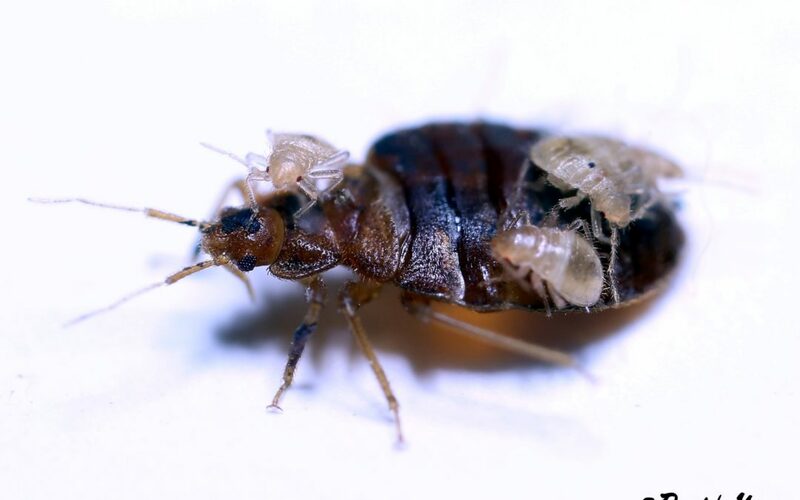 Remember, you can’t just “knock down” or kill a “few bed bugs” because if any bugs or eggs are left behind, you will start all over again in a short amount of time. You need to be assured that once the company commits to your project they will follow it through until complete control is maintained. Interview and search for a well-educated and experienced company that will start with coaching you first. During an inspection and treatment evaluation, your professional will identify the bug in question. At this point, knowing the nature of the bed bug, the life cycles and their interaction with the environment, they will begin an inspection to evaluate the extent of the infestation. Bed bugs in particular are cryptic in nature and are very hard to find in early stages. This inspection may take some time depending upon your environment, how much clutter, how many people and who sleeps where. In multi-unit properties, units with shared walls need inspecting as well. During this time, they may ask a multitude of questions to discover the source of introduction. Because they want success in their treatment, they will share “what not to do” to help limit bed bug activity spreading until treatment can start. It is suggested that people keep their homes decluttered prior to getting bedbugs but this is not always the case. Cluttered environments greatly reduce the efficacy of any treatment. Once finished with a thorough inspection, they will design a multidisciplinary or integrated treatment protocol. They will focus their treatment on your affordability, the extent of infestation, and structural environments. Do they “specialize” in bed bug treatments? Where did they get their training on bed bugs? Elimination training? Is their complete staff trained in bed bugs? How long have they been treating for bed bugs and how many treatments have they done? Which treatment is the most effective and why? Do they supply educational materials on bed bugs? Do you have to be involved in the treatment process and what is expected of you, your family, staff or tenants? Do they offer or provide extended or extra services for preparation? Do they offer a post treatment follow-up? Do they have any referrals or previous clients you can speak to about their service? Do they have or have access to a detection dog team? AVOID PRODUCTS FROM HARDWARE STORES! The number one biggest mistakes you can make is running to the store to buy up anything that says bed bugs on the label. Most of these products spread bed bugs and do not work. Be aware of anyone who offers a treatment without confirming and “showing you evidence” (live bed bugs or signs of them). Avoid any company that will commence treatment in multi-unit dwellings without complete authorization from owner/management. Avoid “rotating door techs”. Having consistency will assure they fully understand every phase of your job. Be aware of exterminators that offer “too good to be true” bargains. Stay away from your cousins, sisters, boyfriend that “used” to be a pest technician many years ago! RUN from slick sales people with “urgency to treat” who sees one bug in a bag then hands you a contract for thousands of dollars. Avoid lengthy contracts with all kinds of legal jargon that you don’t understand! Proper and effective bed bug removal is a scientifically based and strategically designed methodology that may include different processes that varies from one environment to another. Previous treatment methods used and much more. Remember, the severity of the infestation will greatly influence the type of treatment and involvement. This information is SO important! There is so much ‘fake news’ out there on bed bugs and of course everyone wants to find the cheapest, fastest option. Unfortunately this also means that there is a slew of junky DIY products and worse, a slew of untrained, expensive and ineffective pest control people. Do your homework and invest wisely for an effective treatment! !